EA has just opened the official Star Wars: Battlefront website, and following the first Screenshot and teaser video, that was included at the end of Star Wars: The Force Awakens 2nd Teaser Trailer. Lead Level Designer Dennis Brännvall again reassures fans that what we have seen in the teaser video of Star Wars: Battlefront is not CGI, and it seems that it’s part of the gameplay trailer that will be revealed tomorrow. Daniel Kopp, VFX artist, emphasises once again that YES that is what the game looks like. In response to a fan doubting that actual gameplay will look like this, Daniel Kopp explains that gameplay will be shown at attendees at the Celebration. Lead Gameplay Director Gustav Halling was asked about split screen and DX12 support for the Xbox One version, to which he replied that no answers can be given at the time but promised more details during spring. 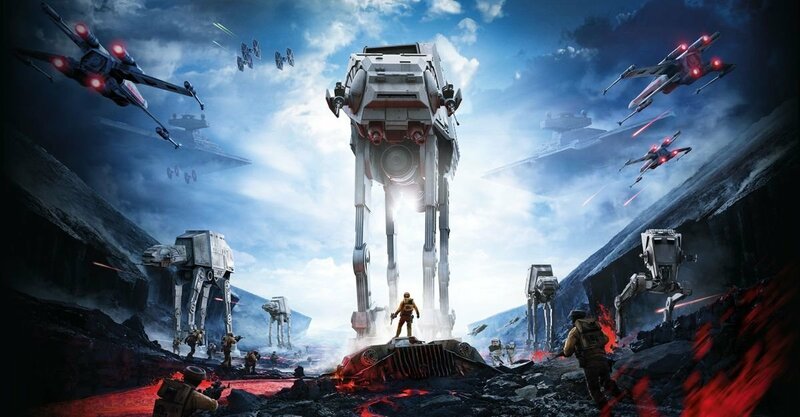 The official PlayStation magazine tweeted the box cover art for Star Wars: Battlefront. I grew up with Star Wars, watching the classic movies over and over and collecting all the toys I could afford. Since then, like most of our team here at DICE Stockholm, I’ve never really left this fantastic universe. A little over a year ago, we learned that we had the amazing opportunity to work on a Star Wars game. I’ll never forget the moment when this was officially unveiled at our company meeting with the entire studio present – you could literally touch and feel the excitement in the room. This is the spirit I feel from the team every day, whether we’re trying out the AT-AT on Hoth or racing speeder bikes through the forests of Endor. Almost 40 years ago, George Lucas invited us to a life-changing adventure. Now, we at DICE are hard at work creating the best Star Wars shooter of all time, to carry that legacy into the future with Star Wars Battlefront. We’re building the game that we as fans want to play. For us, this is just the beginning of a new adventure, and we are looking forward to showing you more in the spring of 2015. We are certainly excited, and we will bring you all the new information and debut trailer from the Star Wars Celebration event tomorrow. 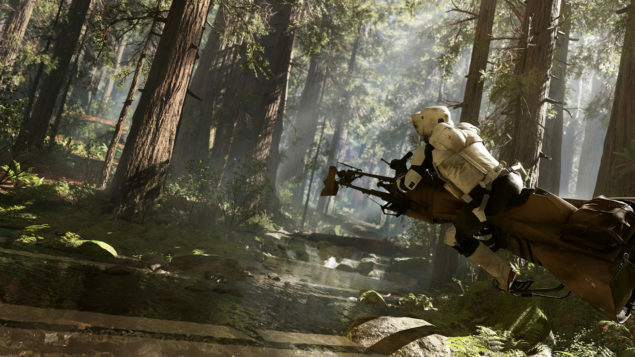 Star Wars Battlefront will release on November 17 2015 for the PlayStation 4, Windows PC and Xbox One. Be sure to check out our previous Star Wars: Battlefront coverage as well as the latest teaser trailer for Star Wars: The Force Awakens, which opens in theaters in December.